A ribbon cutting was held on February 2nd, 2017 for the new location of Cioffi Slezak Wildgrube, P.C. The Capital Region’s largest all female law firm, moved their office to 1473 Erie Boulevard, Schenectady. The firm serves individual clients, their families and businesses with a concentration in the areas of estate planning and administration, elder law, commercial and residential real estate, and business and corporate law. The CSW partners are Cristine Cioffi, Deborah A. Slezak, and Michelle H. Wildgrube. The firm, which includes 10 attorneys and a total staff of 29, was founded in Niskayuna in 1995 as Carpenter & Cioffi, PC. 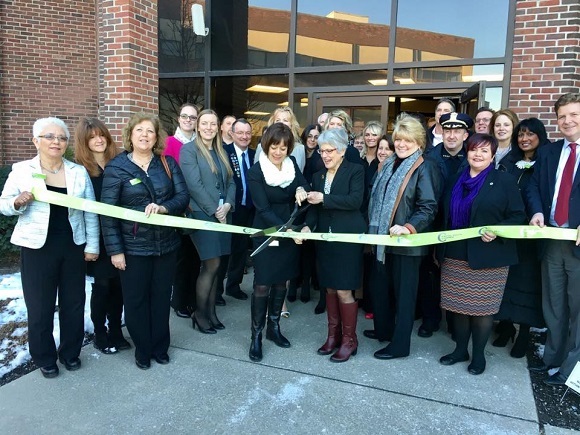 Pictured center is Cristine Cioffi and Michelle H Wildgrube along with clients, family, colleagues and Pete Bardunias, President/CEO of The Chamber of Southern Saratoga County and Capital Region chamber representatives.